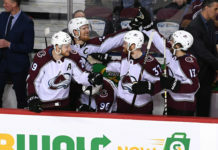 Colorado returned home looking to continue their recent strong play into an afternoon matchup against the Nashville Predators, but were unable to outlast the physical Predators in a fast-paced contest that saw Nashville goalie Pekka Rinne stifle the Colorado offense once again in a 4-1 loss. A total of 22 hits between the two teams set the tone for the first period. Nikita Zadorov, after blowing up Calle Jarnkrok, then fought Austin Watson. Both teams looked for every spark they could find to get the puck in the back of the net, but both goalies stood strong for the period, saving every shot they faced. The hitting didn’t stop in the second period and the intensity picked up even more from the first period. Both teams committed two penalties, including a hooking call on Matt Nieto’s breakaway against the Predators. 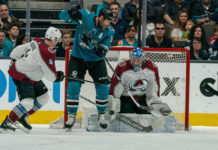 Nieto’s penalty shot was stopped by Rinne, and later in the period, Nashville broke the tie with a goal from Nick Bonino at the 5:01 mark of the period. Just over a minute later, Viktor Arvidsson added another, giving the Predators a two-goal lead. The Avalanche didn’t slow down, though. 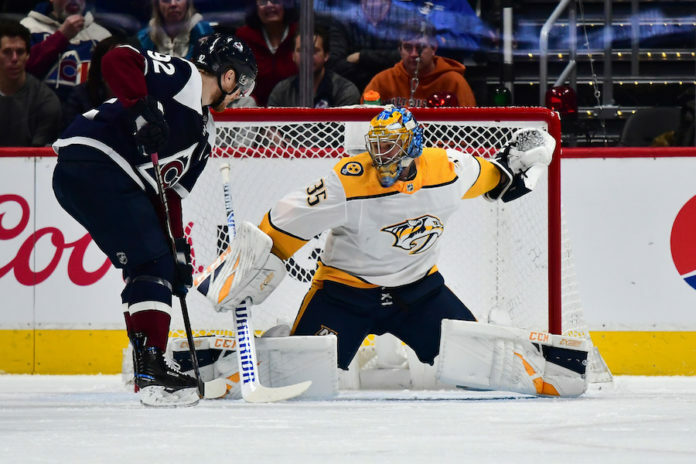 Alexander Kerfoot tipped a pass in from Samuel Girard for his ninth goal of the season, but Nashville’s Roman Josi added one more goal for Nashville to end the period and regain their two-goal lead heading into the second intermission. The intensity decreased in the final period, as the Predators packed in and played a strong defensive period. Rinne stood tall and saved every shot he faced in the period, giving him 35 saves on the day. Nashville’s Ryan Ellis added an empty-net goal at the end to make the final score at 4-1. Colorado continues their season-long homestand Wednesday night against their Central Division rival Minnesota Wild. Puck drop is set for 7:30 PM MST from Pepsi Center.